You enter a darkened space, the musty air is tinged with the coppery smell of blood. You can hear water dripping in the distance, echoing off the mossy, rough hewn stone walls. An unlit torch is on the wall, upon lighting it a low rumble is heard, like the cross between thunder and a large angry beast. 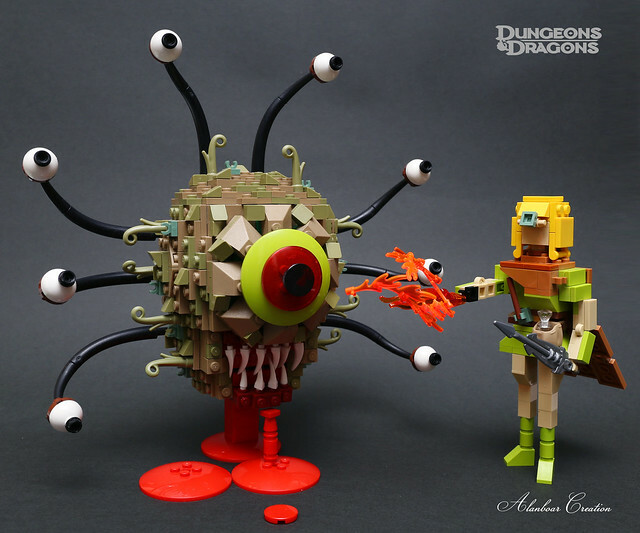 Suddenly an enormous form drops from a hole in the ceiling, it's single cycloptic eye surrounded by stalks with many eyes...a Beholder!